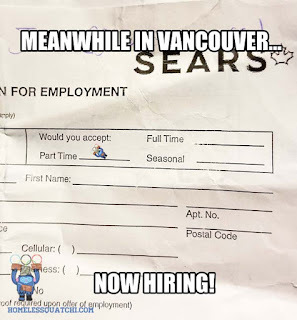 Sears Canada hiring one last time! 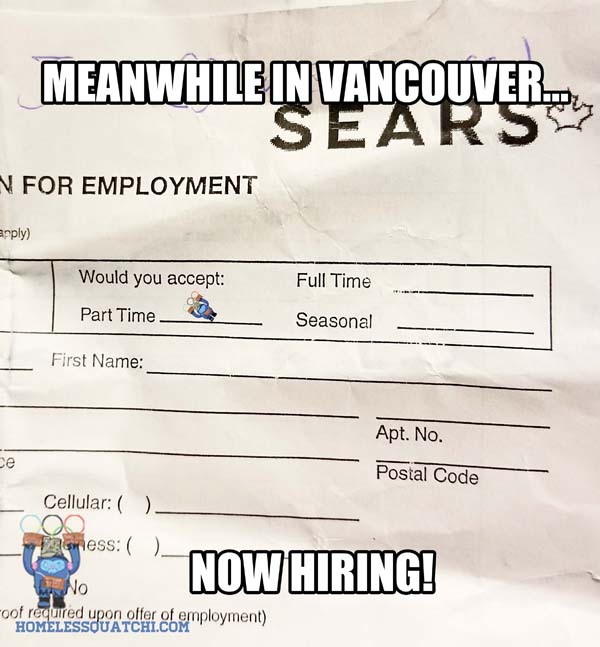 Sears in Burnaby is looking for Part-Time workers. Interviews this Monday October 16 3PM and Wednesday October 18 5PM. On the spot! Last Hurrah!